Image: Amazon CEO Jeff Bezos at a press conference. In its first acquisition in India, American online retail giant Amazon is planning to buy out fashion portal Jabong.com. According to a report by VCCircle, Amazon.com is in an initial-stage discussion to acquire Jabong.com, backed by Rocket Internet, in a deal worth about $1.2 billion. Besides Rocket Internet, Swedish investment firm Kinnevik and UK's development financial institution CDC own stakes in Jabong. "A meeting took place recently; it has not even been a week," the VCCircle report quoted sources as saying. India's online fashion market is dominated by the merged Flipkart and Myntra with a combined market share of 50 per cent, while Jabong controls 25 per cent of the market and others, such as Fashionara, Limeroad.com and Zovi, the rest. Jabong had reported a gross merchandise value (GMV) of Rs 509 crore (Rs 5.09 billion) from three million orders in the January-June period of this year. This was a three-fold rise over the previous year, according to a VCCircle report. After Flipkart acquired rival Myntra in a Rs 1,800-crore (Rs 18 billion) stock-and-cash deal in May, there was a buzz that Amazon could buy Jabong to counter Flipkart's move. According to the VCCircle report, Amazon could keep Jabong as a separate property after the acquisition. India's online fashion market, worth more than $550 million in 2013, is projected to scale up to $3 billion in three years. According to a Technopak report, the $2.3-billion Indian e-retail market could swell to $32 billion by 2020 and account for 3 per cent of the country's overall retail sector. "These valuations defy logic. Even big corporate houses do not get the $10-15-billion valuations that e-commerce companies talk about. I am at a loss to explain anything on this," said Technopak Advisors Chairman Arvind Singhal. "E-commerce firms are focusing on fashion as a category because it has a huge potential for top lines and margins. Flipkart bought Myntra for the same reason. I think Amazon wants to replicate that. There are very few players in fashion e-commerce, hence the premium likely to be charged," Singhal added. Founded by Arun Chandra Mohan, Praveen Sinha, and Lakshmi Potluri in 2012, Jabong was later joined by others like Manu Jain and Mukul Bafana. The company has about 1,000 brands and generates annual sales of $300 million (gross merchandise value). In 2012-13, Jabong.com's revenue soared 50 times - to Rs 202 crore (Rs 2.02 billion) from Rs 4 crore (Rs 40 million) the previous year - and its loss narrowed to Rs 16 lakh (Rs 1.6 million) from Rs 64 lakh (Rs 6.4 lakh) in 2011-12, according data from the registrar of companies. By comparison, Flipkart's loss in 2013-14 doubled to Rs 400 crore (Rs 4 billin), while Amazon's net loss stood at Rs 320 crore (Rs 3.2 billion). While an email sent to Jabong founder Praveen Sinha had not elicited any response till the time of going to press, a spokesperson for Amazon India said: "As a company policy, we do not comment on what we may or may not do in the future." Jabong has been strengthening its presence in the fashion space by launching global brands. It earlier brought three international brands - Dorothy Perkins, RiverIsland and Miss Selfridge - and plans to launch private labels. It has also created a team of designers from brands like Zara, RiverIsland and Mango. "At e-commerce companies, valuations are about how much money is required to grow the business, and what stake an entrepreneur is willing to give for that money," said Prashant Agarwal, joint managing director of Wazir Advisors, a retail consultancy. "E-commerce companies need a lot of money to build warehouses, supply chain, IT systems," he said. Though Amazon had started its India operations more than year ago, it is yet to see a clear regulatory enviornment here. 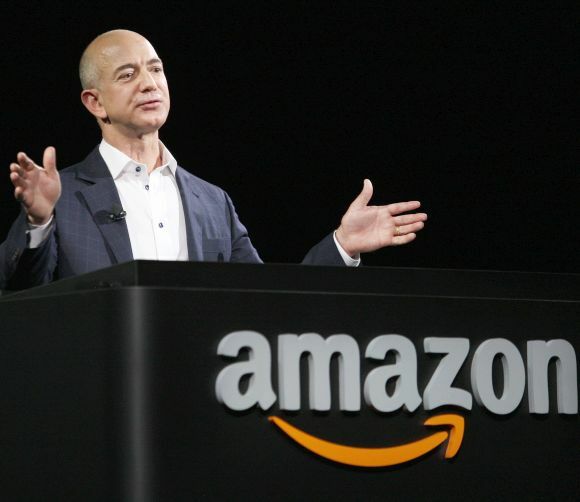 Recently, the tax authorities in Karnataka claimed Amazon was into direct business and alleged it was not paying value-added tax for transactions on its online platform. This was after Amazon asked the department to collect VAT from sellers. Kishore Biyani prepared to take on e-retailers?